View Large Image EM-80 White Heavyweight Tearaway 15" x 10yd. View Large Image EMB-1720 Washaway Tearaway 15" x 10yd. Gives added stability without a bulky backing underneath it. Dissolves in warm or cool water with several launderings. 1.5 oz Tearaway. View Large Image C-62 White Mediumweight Cutaway 15" x 10yd. View Large Image C82HD White Heavyweight Cutaway 15" x 10yd. View Large Image Eb626 Black Cutaway 15" x 10yd. 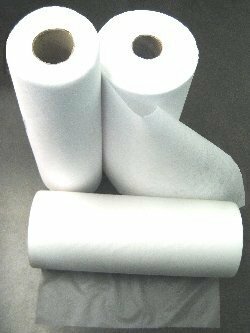 This is a soft feel medium-heavy weight 2.4 oz. 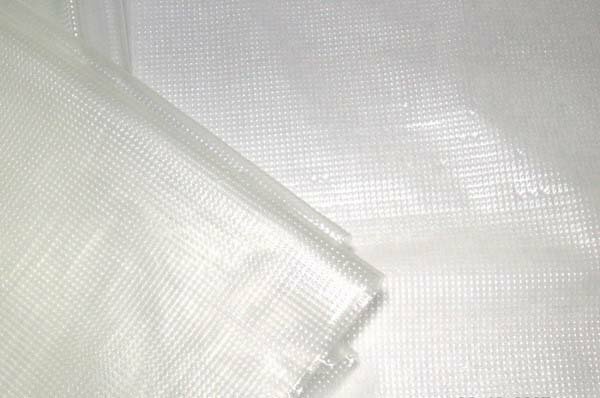 70g/m² non woven cutaway made from cellulose and polyester with needle lubricants to promote needle glide. 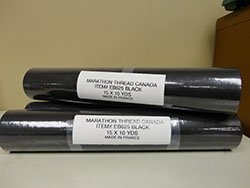 View Large Image FS-1 White Lightweight Fusible Backing 15" x 25yd. View Large Image H2O Gone Washaway 15" X 10 yd. View Large Image Cloud Cover Stitch 12" X 10yd. View Large Image Water Soluble Topping 15" x 27.5 yd. Embossed Cold Water Soluble Topping Film 35 micron Heavier weight film. Non-toxic fully biodegradable. Ideal dissolving temp is 15°C.